Are you the one who often gets confused while selecting the perfect neckline for your suit or kurta, well then you are not alone. Almost most of us go through the same problem, and then we end up getting the same neckline in which we are comfortable in piece after piece. 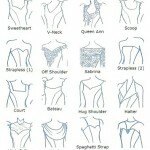 Well but not from now, here are few neckline ideas which will inspire you for your next outfit…. Balloon cut– This high neck design is a perfect neckline to try if you want to keep the things a little sophisticated. A small keyhole detail shaped in a balloon style gives it a much needed break from the regular high collar or neckline designs. 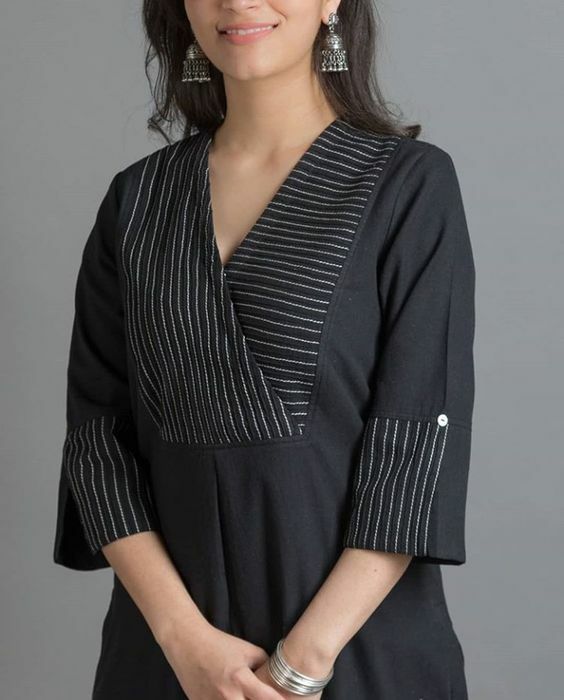 Jewel neckline with armhole cut– This neckline detailing is quite interesting, and though its a simple jewel neckline but what makes it worthy is a tilted cut at the armhole with opens up with matching cloth buttons and loops. 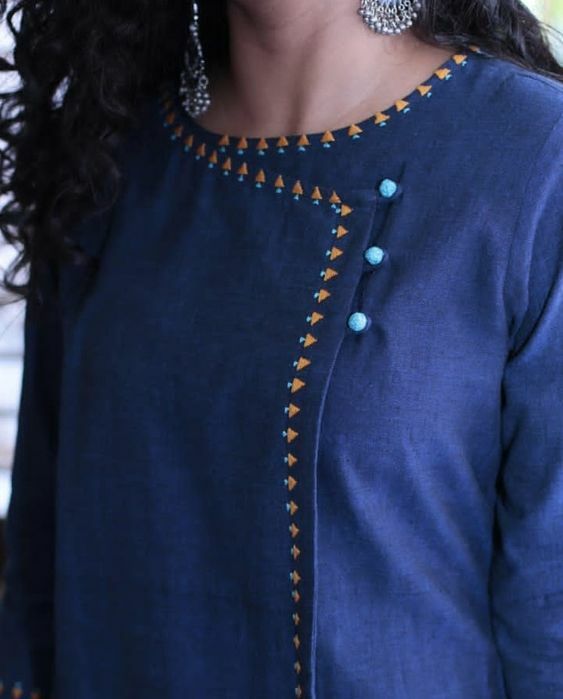 Tassel and dori– Another interesting element is to add tassels and dori on the regular front neckline. 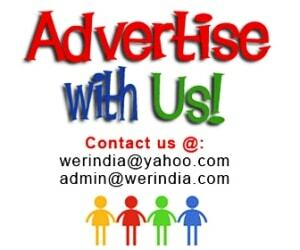 You can go for this element if you want to add a boho chic feel to the kurta. Overlapped style– You can either continue this style all over the front as an opening for the kurta, or close it just a few inches down the neckline. Frill– They look super cute and add a touch of feminism to the design. 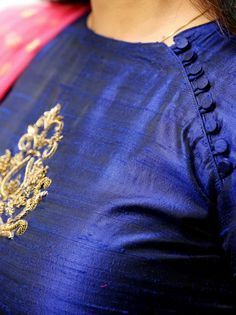 Use small sized frills or pleats on the neckline for these advantages. Double neckline– This style looks good over plain kurta’s where you can play with different textures of fabrics for the overlapped double necklines to pop out. 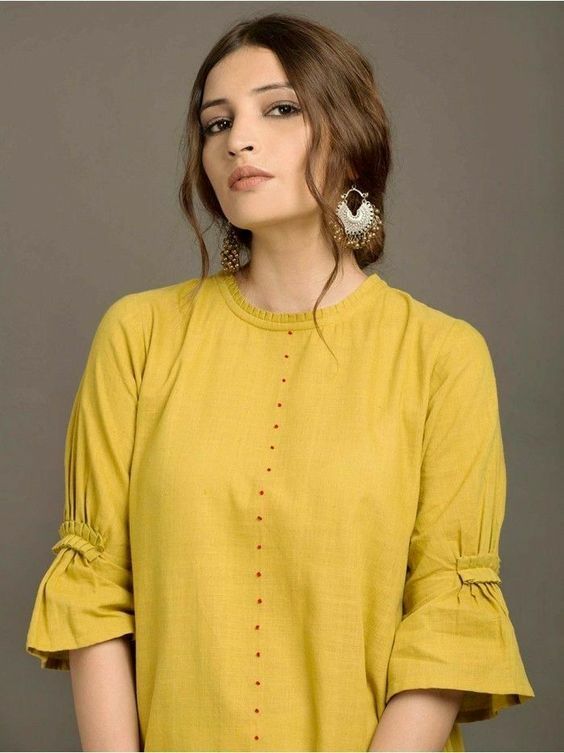 V neck Overlapped yoke– Again plain kurta’s look good in this style, and to break the monotony of the single color you can use contrast color thread lines over the yoke to make it stand out.